Installing a New Air Conditioner? Bigger Isn't Always Better | Fresh Air, L.P.
No—size really does matter, which we will get into more below. Air conditioners have a tonnage—that is, the amount of cooling that an air conditioner unit provides for a space. You may hear that term and think we’re talking about how much an air conditioner weighs, but we want you to know that when we mention tonnage, we’re talking about the system’s ability to cool your home, and it’s a very important factor to keep in mind with your air conditioning installation! Your air conditioner’s cooling power is measured in the units of heat a system removes from the air. The cooling system doesn’t create cooling, since cold air is not a form of energy. Rather, it works to remove heat from your home. Tonnage is the amount of heat an air conditioner can draw from a home over the course of an hour. This heat removal process is measured as something called BTUs (British Thermal Units), which is the amount of heat needed to change the temperature of a pound of water by one degree. “One ton” of air conditioning power means the system removes 12,000 BTUs from a buildings’ air per hour, and each additional ton is another 12,000 BTUs. That’s a question our technicians will answer after doing what’s called a cooling load calculation on your property. This calculation takes a few factors under consideration—insulation and insulation type, the number of people who live in the home, the number of windows and doors, and the number of heat-producing appliances. This brings us back to what we mentioned above—that size really does matter. Think of the “Goldilocks Principle” when it comes to your AC—you want one that’s just right for your home. While you probably already understand the problem with an air conditioner that’s too small for the space its installed in, you could have one that’s too big. The problem with this is that your home reaches your desired temperature too quickly. This causes the air conditioner to shut off only to cycle back on a short time later. 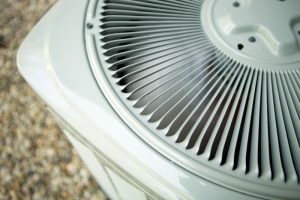 This process is known as short-cycling and wears down on your air conditioner a lot faster than standard wear and tear would otherwise. The best way to avoid this problem altogether is to only trust in professional AC installation when you need a new air conditioner. When you’re looking for a reliable HVAC company in Houston, TX, you needn’t search any further than Fresh Air, L.P. Contact us today!